Did you know that a sponge can help combat acne? I'm fortyish, but I still get a a dose of stubborn acne from time to time. 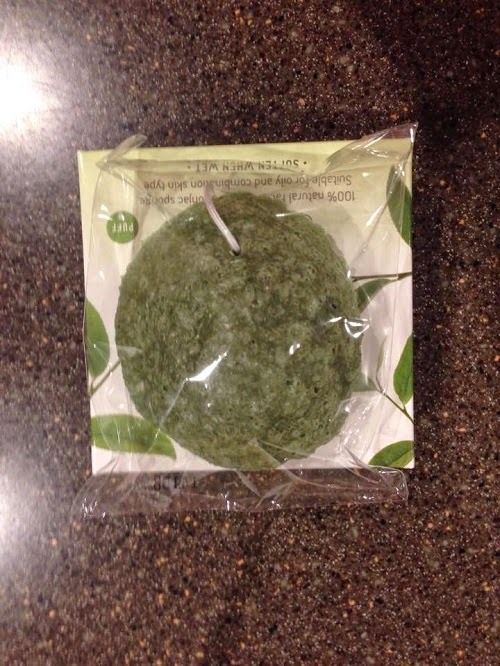 Today's review is about the Green Tea Puff by The Japanese Konjac Sponge. I have tried their bamboo charcoal sponge and I love how it cleans my skin. Let's see if the green tea puff is just as great. 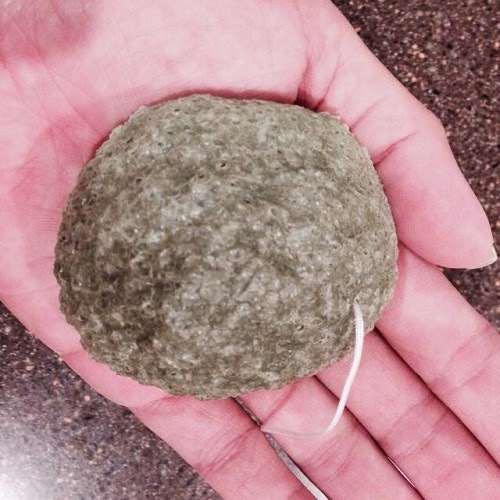 Although it is very light, the Konjac sponge is as hard as a rock when it's dry. You're supposed to soak it with warm water until it gets really soft. As you will see in the photos below, there was no change in size when it got wet. Never use it dry on your face because it's rough, but once it's wet, it's very gentle on the skin and not scratchy. 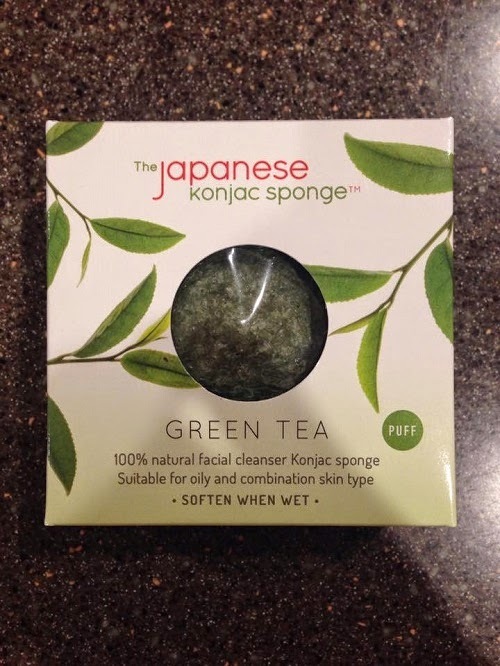 Other reviewers say they can smell the green tea when the sponge is wet, I don't know if it's just me, but I didn't smell anything at all. Makes me wonder if I have a bad nose, ha-ha. It's only been a few days, but I noticed that my skin is clearer and softer. The unsightly black heads on my nose and on the deep part of my chin are lesser. My skin feels soft, smooth and very clean. If you're looking for a way to fight pimples, this is a good product to try. It cleans skin really well without leaving it dry. 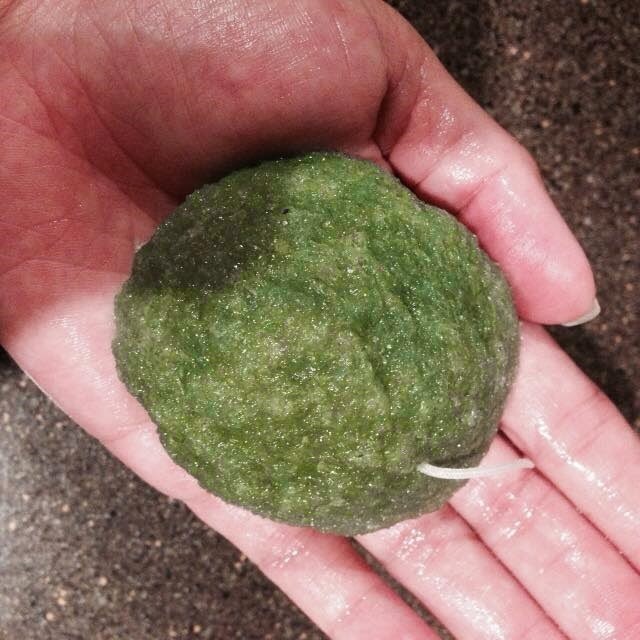 The Green Tea Puff can be purchased through The Japanese Konjac Sponge website and on Amazon. It's fairly priced at $11.00.